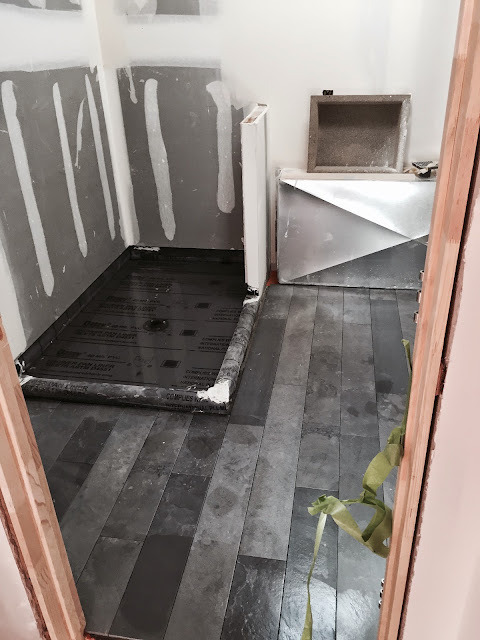 project: haus: First sighting of the floor tile! 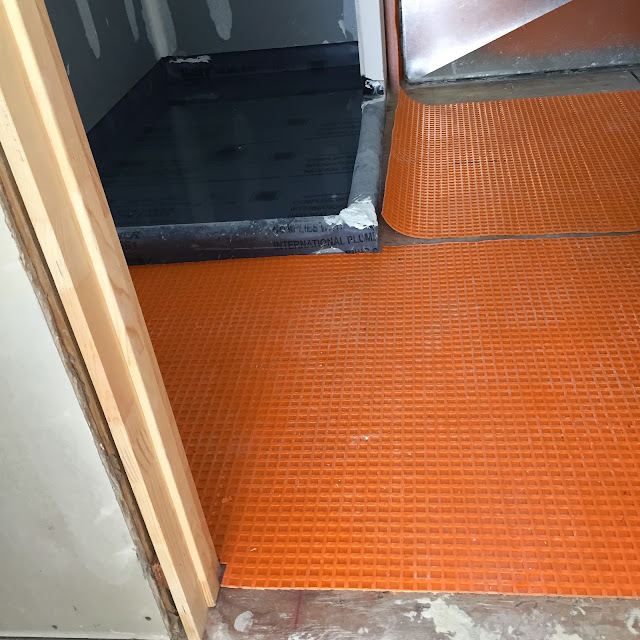 First sighting of the floor tile! I did something really lazy: I picked one porcelain tile that I love and it's going in all 3 bathrooms and the laundry room. Here's the reason: I am trying to create cohesiveness in a house that was all over the map in terms of style, functionality, space planning and floor layout. It is still not perfect but it's really good and a HUGE improvement to how it was before. One way to create cohesiveness is to stick with a very tight color palette that gets carried throughout every room. 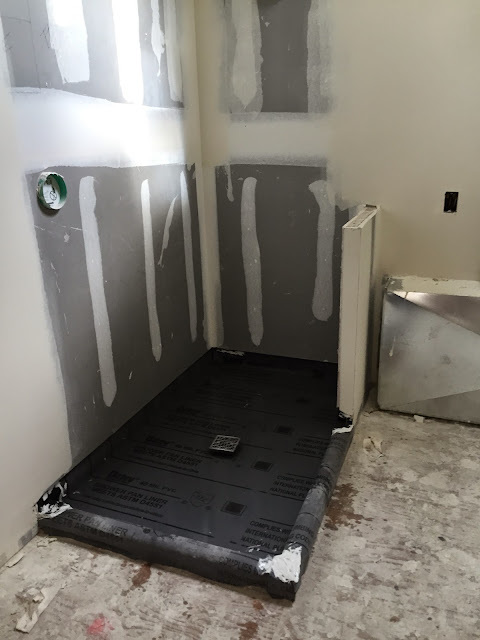 Each bath has very distinct and unique features which will stand out against the foundation of the gray floor. For months I carried around the sample in order to color match it to the other textures and finishes in each room. And then the boxes of tile sat in the garage for the last 6 weeks, just waiting. And now, it's in. And it's even better than I imagined.